Play Ojo Casino will then reward you with a bonus (Welcome Bonus is for new players only). The terms and conditions of the bonuses vary between different casinos and might also change over time and between different countries, so it is important to compare the different offers and read the T&C for Play Ojo Casino before signing up. 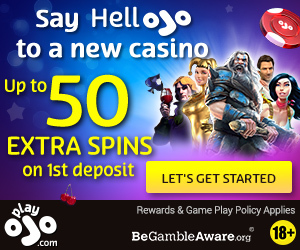 It’s not very often that you find an online casino that cares about its customers as much as Play OJO. Established in 2017, it promises to bring a fairer experience to players. This is done through numerous ways, but the most impressive is the fact there are no wagering requirements on bonuses. There is also redeemable cashback offers on every spin of a slot machine, and fast payouts on every transaction. Furthermore, all wins from free spins are paid out in real cash. We’re struggling to think of a casino that promises to offer more. 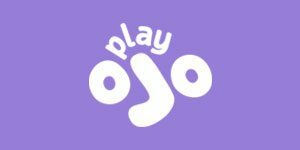 So take a read of our review, and discover the world of Play OJO! Play OJO manages to offer games from some of the very best software providers in the industry. These include Microgaming, NetEnt, Amaya, NextGen, WMS, SkillOnNet, and many more. All games are played through their instant-play software so you won’t need to download anything. There is also the opportunity to play games for free first in order for you to get a real feel for them. Overall, there are around 1000 games so you can be sure there’s definitely something to suit you. It’s fair to say that slots dominate Play OJO as there are around 800 on the show. To make your selection a little easier, there are categories available such as New Games, Game Provider, Popular, and OJO’s Picks. Popular choices include Vikings go Berserk, Immortal Romance, Rainbow Riches, Spina Colada, and Starburst. Try your luck at winning a huge jackpot by playing one of the progressive titles on the site. These include The Naked Gun, Slots O Gold, Winstar, Hall of Gods, and Arabian Nights. Players have been known to win millions of pounds on these games so they really are worth your time. Even though there are tons of games at Play OJO, the table game selection is slightly limited. However, you’ll still be able to find the usual roulette, blackjack, poker, baccarat, and punto banco offerings. We could not find any other games such as virtual sports or scratch cards. There are 18 live games that are broadcast from real studios. These include roulette, blackjack, poker, and baccarat, and give you the opportunity to interact with real dealers and players. When you first sign up to Play OJO, you will be able to receive one free spin for every £1 you deposit. The casino allows you to get up to 50 free spins, and everything is paid in cash without any wagering requirements. It’s refreshing for a casino to offer welcome bonuses without and dodgy terms and conditions, and it’s something a lot more sites should look into. Existing customers will be able to take advantage of kickers. These act as special perks, and the more you play, the more rewards you will receive. They’ll be exclusive promos and daily offers hand-picked for you, but they only last for 24 hours so make sure you check back every day. You’ll also get the opportunity to play live tournaments every day. There’s a leaderboard that you will be able to climb after every win, and you will get the chance to win thousands of free spins. Obviously, this is made even more the sweeter due to the fact that you are able to keep all the cash you win from the free spins. Regular players may be lucky to get an invite to become one of the A-listers at the casino. This will give you the opportunity to get cash back on all bets. You can also get a dedicated personal account manager, higher withdrawal limits, faster withdrawals, increased betting limits, exclusive kickers, and luxury gifts! There are a lot of payment methods at Play OJO that are internationally friendly. These include Visa, MasterCard, PayPal, Skrill, Neteller, Paysafecard, and many more. Currencies include GBP, USD, EUR, and AUD. The minimum that you can deposit is £10 and transactions are processed instantly. In terms of withdrawals, the minimum is £20 and the maximum is £10,000. Depending on your transaction limit, you will receive your funds between one and seven days. It’s really easy for players to get in touch with Play OJO. The best way is probably through the online chat feature which is available between the hours of 06:00 and 00:00. However, you can also email them or use the telephone number provided. Alternatively, there is a long list of FAQ’s for any questions that could be answered without having to speak to an agent. Social media savvy’s will also be happy by the fact you can follow the casino on Facebook, Twitter, Instagram, and YouTube.